C-SWEPA’s central objective is to develop and validate a numerical framework of physics-based modules that couple the low corona and CMEs with solar wind, shocks, and particle acceleration. 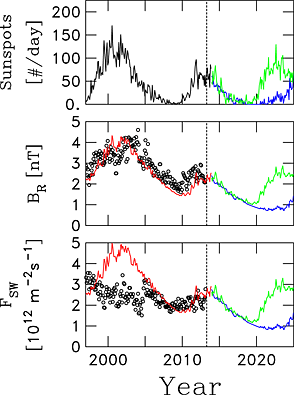 Recent papers have linked the heliospheric magnetic flux to the sunspot cycle with good correlation observed between prediction and observation. 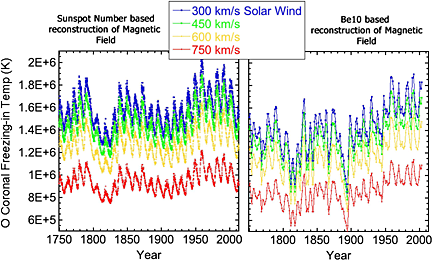 Other papers have shown a strong correlation between magnetic flux and solar wind proton flux from coronal holes. 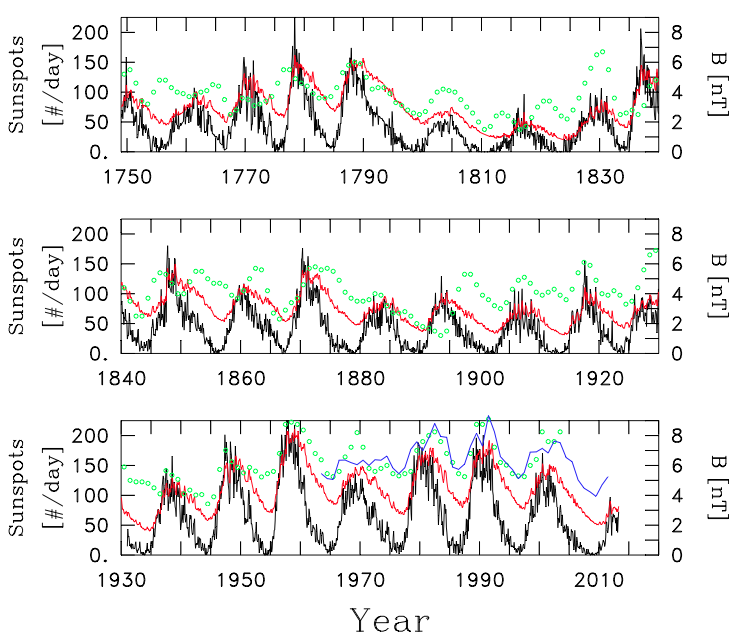 We combine these efforts with an expectation that the sunspot activity of the approaching solar minimum will resemble the Dalton or Gleissberg Minimum and predict that the magnetic flux and solar wind proton flux over the coming decade will be lower than at any time during the space age. Using these predictions and established theory, we also predict record high galactic cosmic ray intensities over the same years. The analysis shown here is a prediction of global space climate change within which space weather operates. 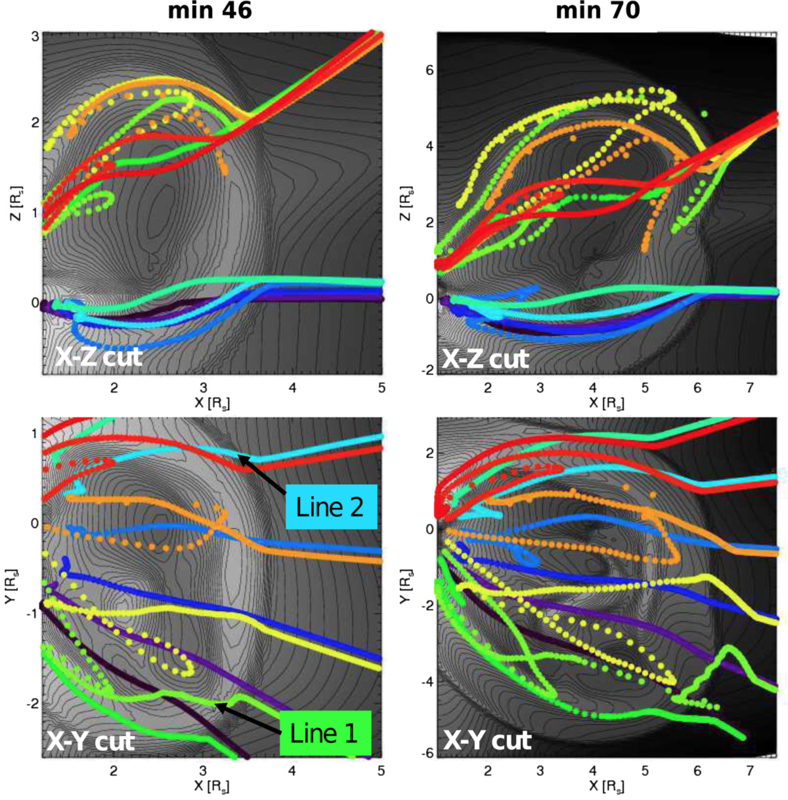 It predicts a new parameter regime for the transient space weather behavior that can be expected during the coming decade. We provide here an example of diffusive shock acceleration from a fast CME from the low corona. The CME simulation employed for our analysis will be described in detail in a forthcoming publication (Torok et al., in preparation). Here we restrict ourselves to a brief summary of its main properties.